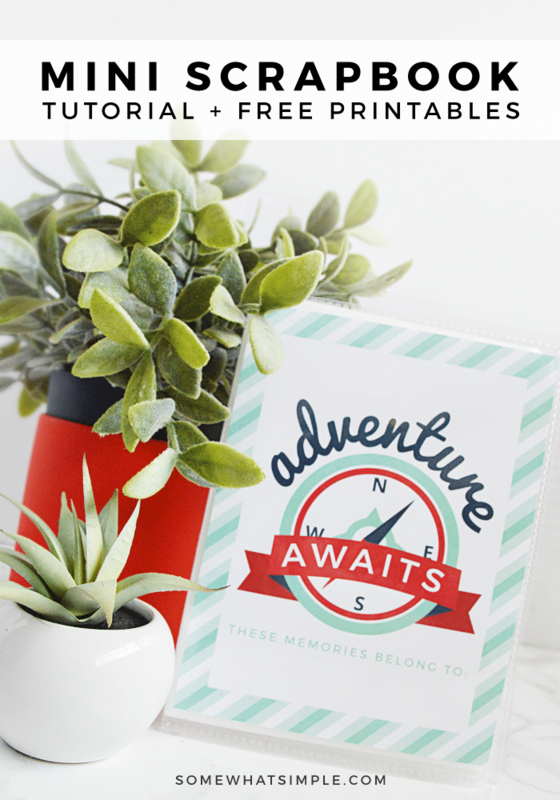 Learn how to create a mini scrapbook with our mini scrapbook tutorial. Also grab the free printable scrapbook paper we are sharing to create your mini scrapbook album! 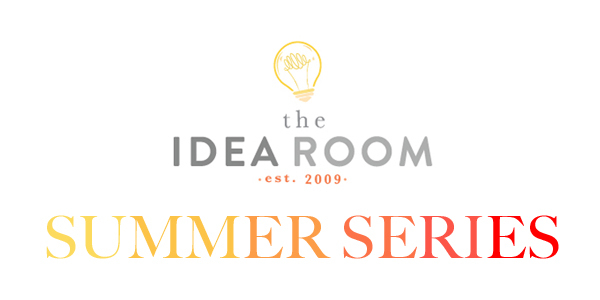 Fun Summer Craft! Hi everyone! 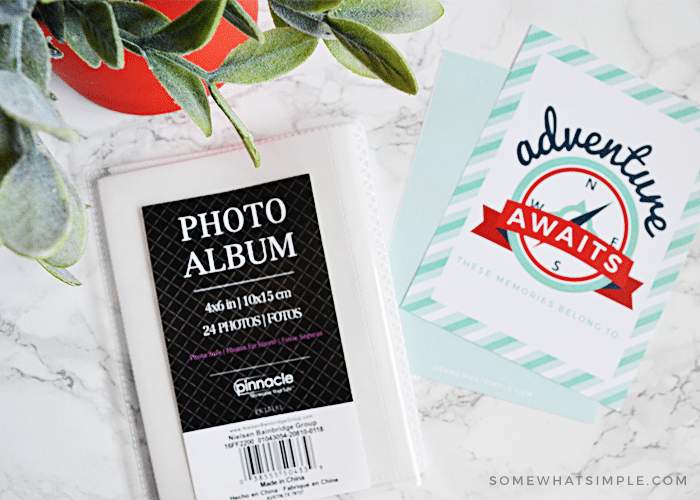 I’m Stephanie from SomewhatSimple.com and I am excited to be here today with a darling printable mini scrapbook that is perfect for the kiddos to document their summer travels! vacation momentos – road maps, small items from nature etc. embellishments – washi tape, stickers, colored pencils and markers, etc. Download, print and cut out the scrapbook cover. Place it inside the front and back cover of your photo album. Cut down your extra sheets of paper to fit the photo album, then add written notes and vacation momentos to each sheet. Let your child embellish these pages to their liking. Click HERE to grab these Mini Scrapbook Printables + check out a few more DARLING journal options!